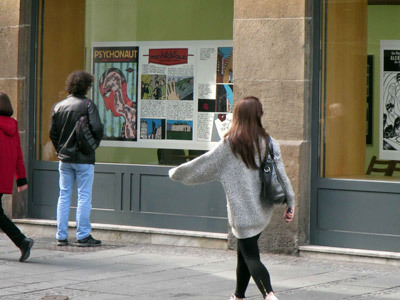 The new selection of Zograf's TV Addicts comics, in English, was published by Elektrika. It's a collection of stories originally published in the 1990s, in Serbian, American, Australian, and Italian magazines. 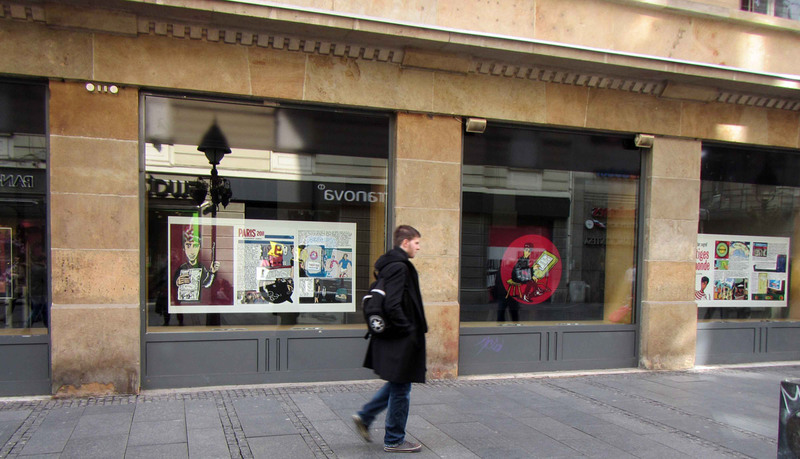 The December issue of Serbian edition of Elle magazine features a strip by Aleksandar Zograf. 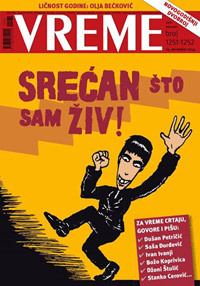 Zograf's story published in this glossy magazine is called Vremeplov ( A Time Machine). His drawings were also featured on the cover of a fanzine named Eon, published in the Serbian town of Šabac. Among many other international artists, Zograf was featured in the International Comics Exhibition, which was held in Sofia, Bulgaria. 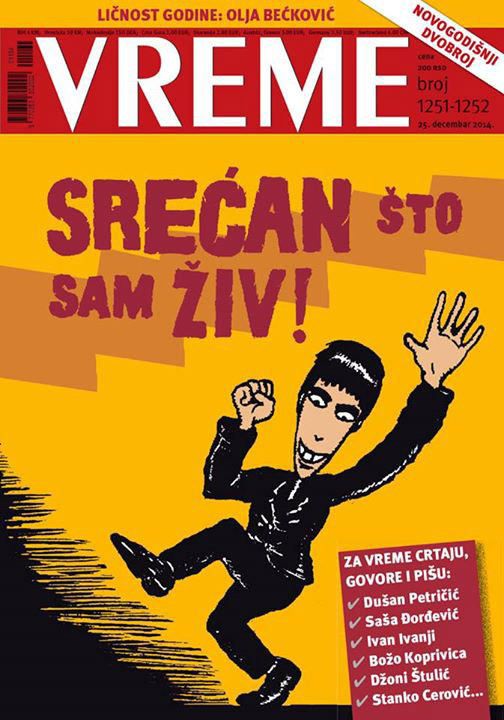 Last but not least, the New-Year special of Belgrade's weekly magazine Vreme features a cover drawing by Zograf, with a banner saying Srećan što sam živ (Happy to be Alive). 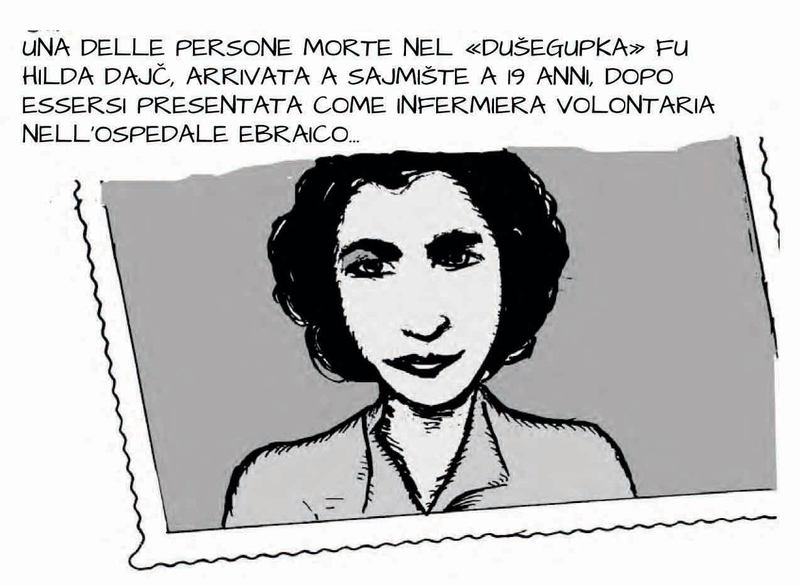 Speaking of Italy, the latest January issue of the weekly magazine Internazionale (# 1036) featured a two-page story by Zograf, about Ada Kale - an island in the Danube which used to exist on the Serbian/Romanian border, before it was sunk in 1971, during the construction of Iron Gates dam.